Listening to: No music for me tonight. Fixer Upper was my soundtrack. It’s been a crazy few weeks, dudes. My house still isn’t in order even though I moved two months ago. I’m not a huge fan of the set-up of the living room or kitchen so I’m not feeling super motivated to cook. Or to do anything for that matter (#realtalk). But I cooked. And it was good. As for my house, I love houses with tons of light. My house is very dark. I feel like I live in a cabin in the woods. The yard has trees everywhere. I LOVE this. I really do. But everything is so dark and I have sucky cameras or my iPhone so when I’ve taken photos . . . well, they’re not looking so hot. Don’t let my photos keep you from trying this. It really is quite good. 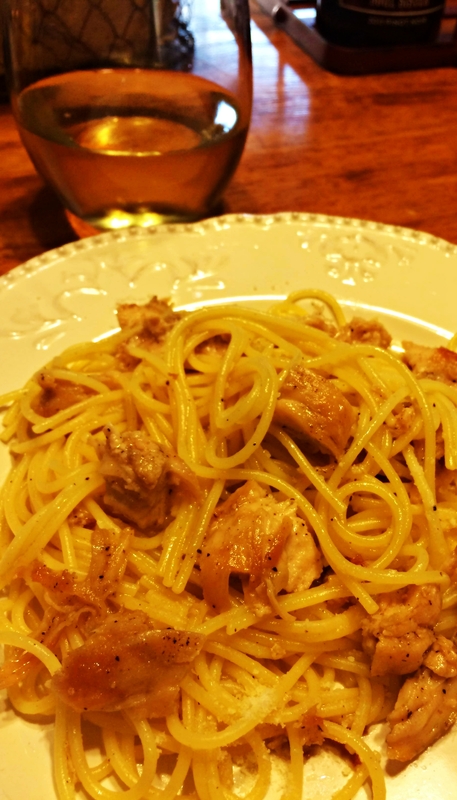 The recipe needs some tweaking for next time, but it’s still a winner overall. I slightly adapted a recipe from Averie Cooks, after finding the recipe on Pinterest today. I will probably do some more tweaking the next time. It was much sweeter than I anticipated. Here is my adapted recipe. You can find the original at the link just above. 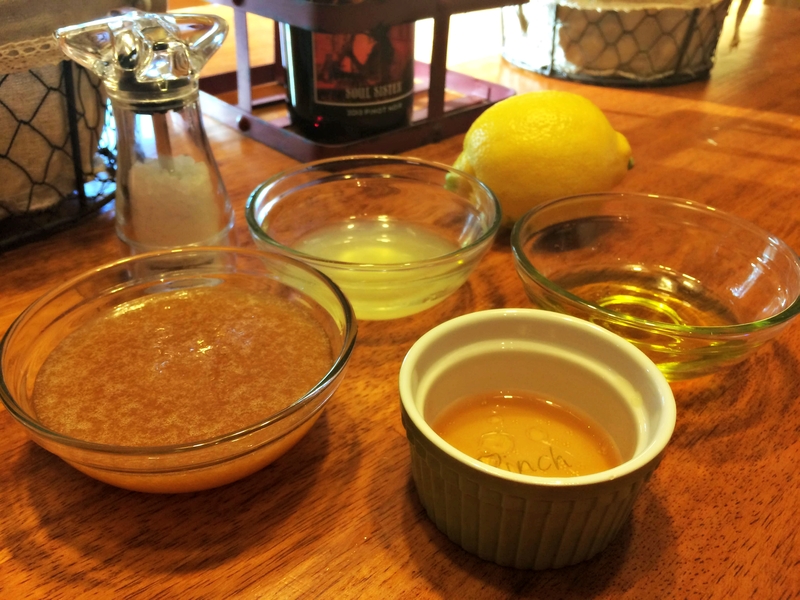 Mix the honey, lemon juice, olive oil, apple cider vinegar and salt/pepper to a bowl and whisk. Once ingredients are combined, set aside. Heat water for pasta and then add 1 Tablespoon of olive oil to a pan to cook the chicken. In addition to the salt/pepper in the sauce, I lightly seasoned the chicken breasts with salt and pepper. 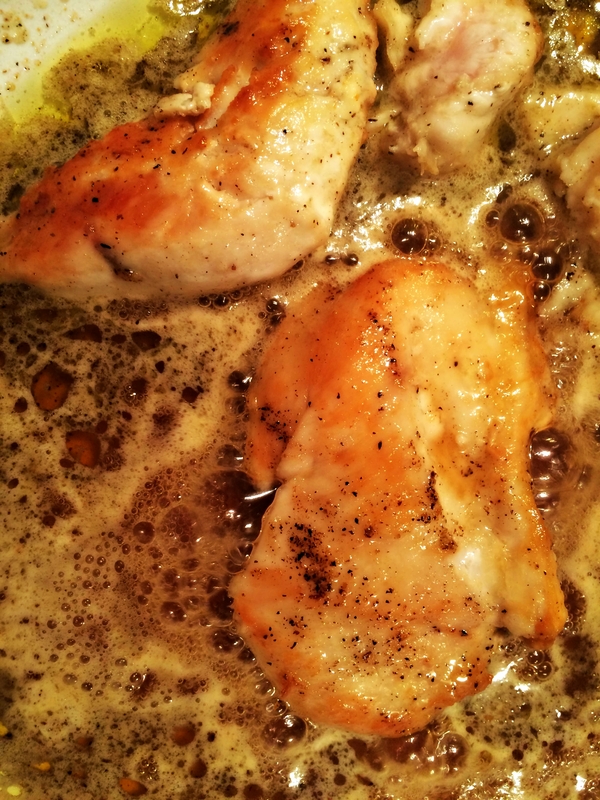 Cook chicken about 6-7 (these chicken breasts were quite thick – less time may be needed) minutes per side. Mine had such a nice color to it – perfect. Once the water is boiling for the water, add your pasta. I added olive oil to the water as gluten free pasta can be clumpy. After about 10 minutes, add the sauce to the pan. Boil the sauce with the chicken, until it thickens. Stir often. Once the pasta was done, I drained it and then tossed it slightly with a pat of butter and squeezed more lemon onto the pasta. At this point, I thought it was sweeter than I expected so I was looking for something to cut through the sweetness a bit. Add the sauce and chicken and then toss! I sprinkled some parmesan on, in addition to the extra lemon to even out more of the sweetness. While sweeter than I expected, this was delish! I don’t buy lemon pepper seasoning which is an ingredient in the original recipe. Nonetheless, I don’t think I’d add that next time. 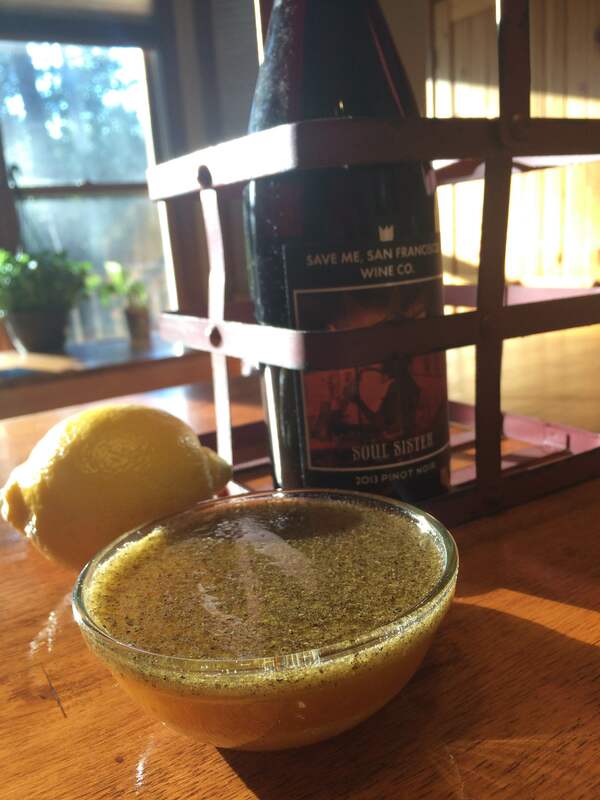 What I will do is cut down the honey and add some more lemon. Anxious to try it. At your house. We’ll make it when you get here!